I have designed the Alma chair for the boardroom at the University of Edinburgh’s recently refurbished Law School building. 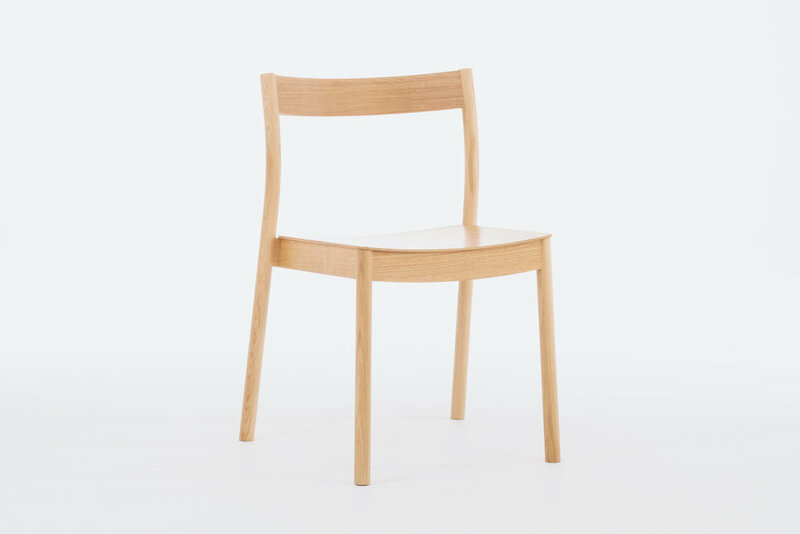 My brief was to design a solid oak stacking chair that would be lightweight and comfortable. 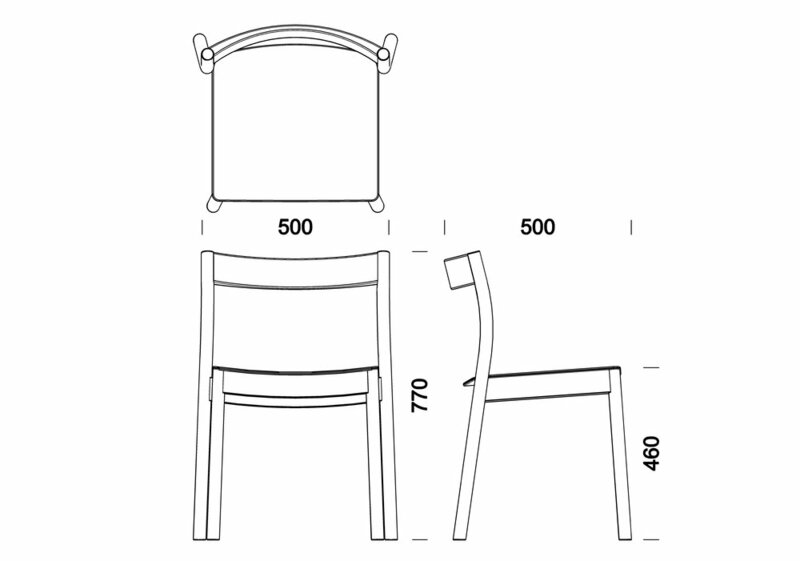 The outcome of my development is a chair with a simple and elegant form paired with comfort and practicality. 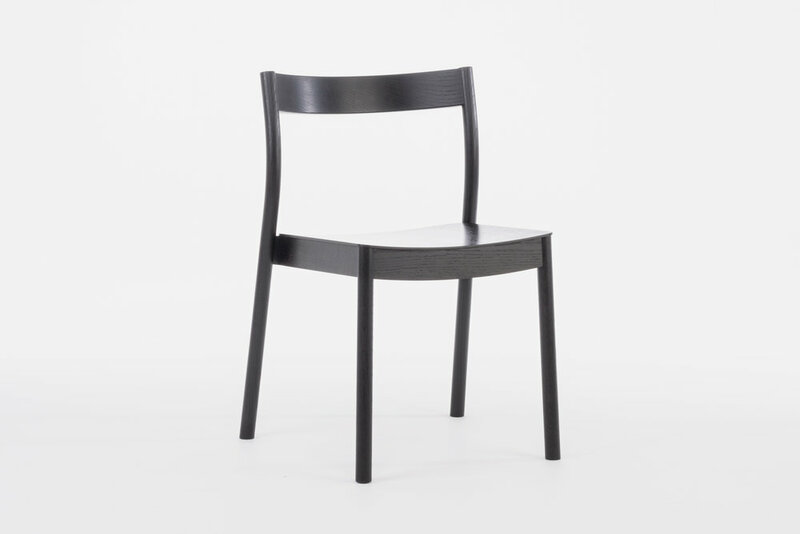 The minimal structure has a great level of rigidity due to the gentle splay on the leg angles. 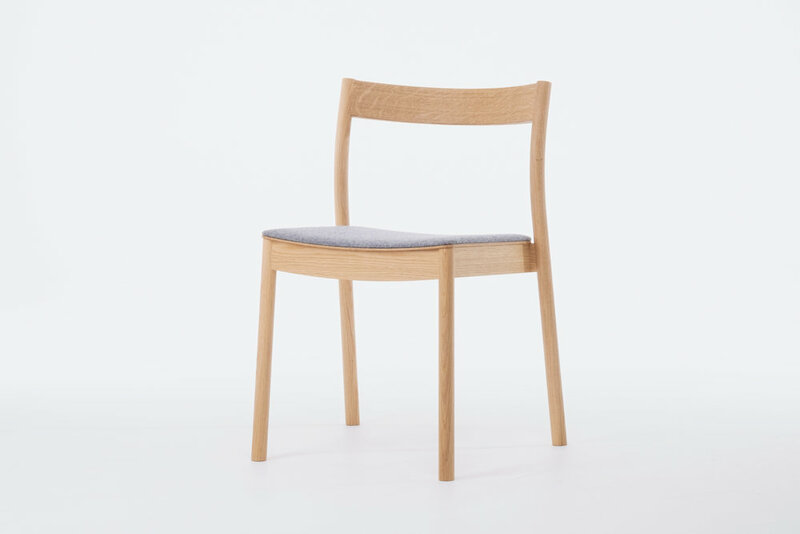 The generous curve on the steam bent solid oak backrest offers a very comfortable yet minimal component. Available in natural and ebonised oak finish, with an optional upholstered seat pad, bespoke fabrics are available on request. If you wish to place an order, please get in contact for information on pricing and delivery. Each chair is handcrafted by myself and made to order.